We have places available for this weekend. Don't leave it too late as one of the sessions next week is already full. Don't miss out the sessions are filling up quickly and we have limited numbers for each Session !!!!!! Lantern making sessions are at the Scout Hut on the 17th & 24th November 10-12noon & 2-4pm. To register for a making session or the parade click on the picture above. ​The 17.18 Stalbright AGM was held on 28th July 2018 . 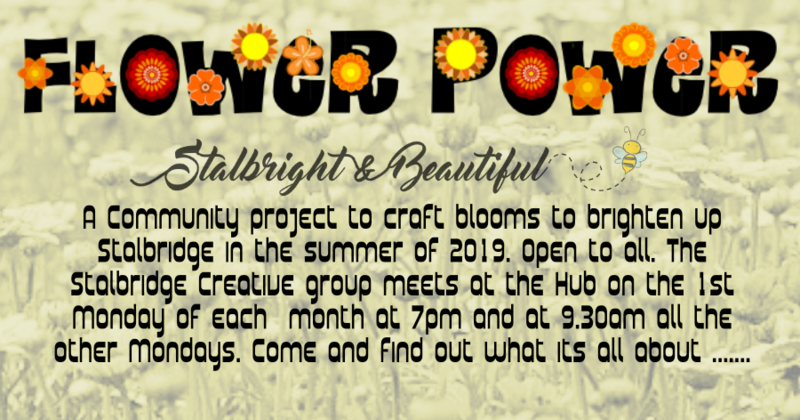 ​The Stalbright AGM will be held at 7pm at the Hub on Friday 27th July 2018. Forge Fabrics are holding a kids knitting session during 1/2 term on the 30th May 10am -2pm. The workshop will help kids get involved with the Stalbridge Armistitch Project as well as learning to knit and having fun.